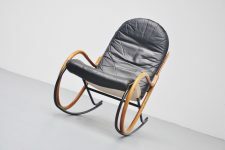 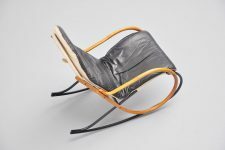 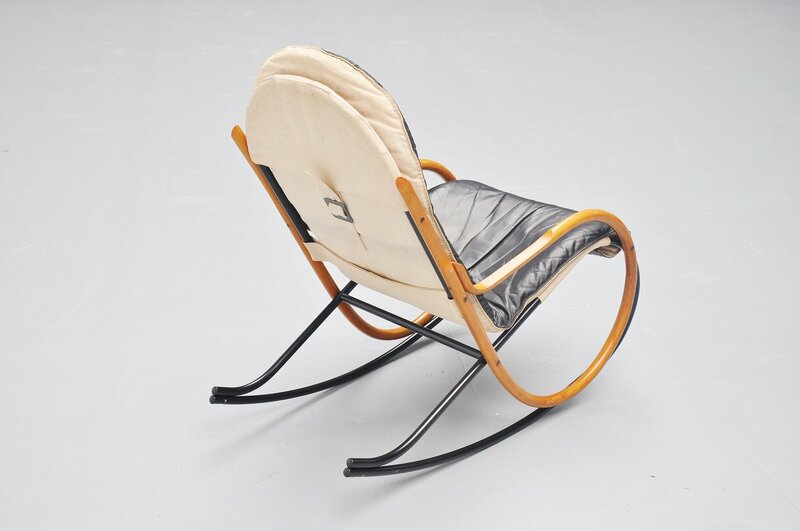 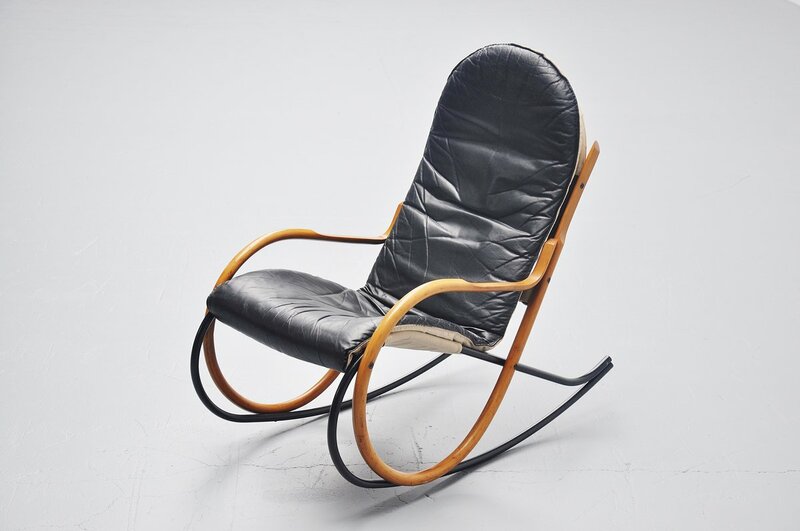 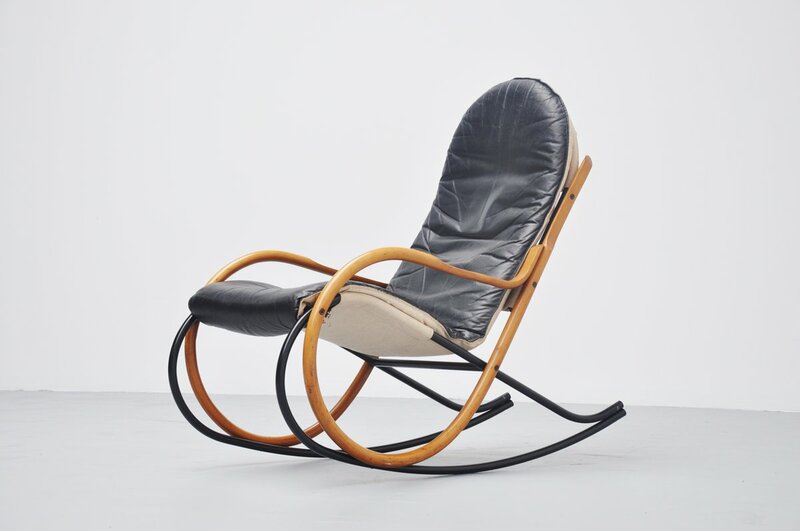 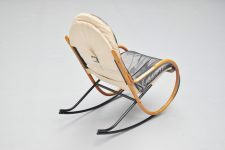 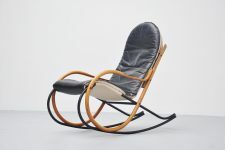 Very nice sculptural rocking chair designed by Paul Tuttle for Strassle International, Switzerland 1972. The base is made of a black lacquered tubular frame and has plywood arm rests. A leather seat with canvas back is a great contast with the wooden armrests. 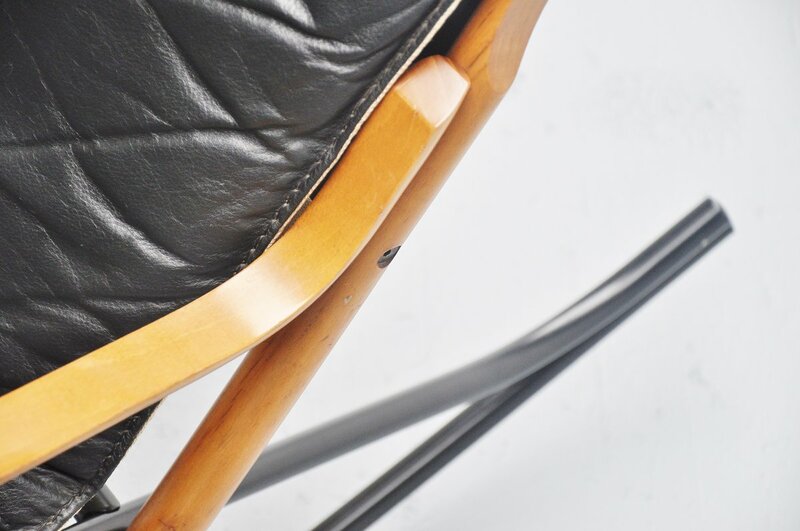 The chair is in excellent condition and seats perfectly comfortable.